Our 2019 conference will take place in Charleston, SC! 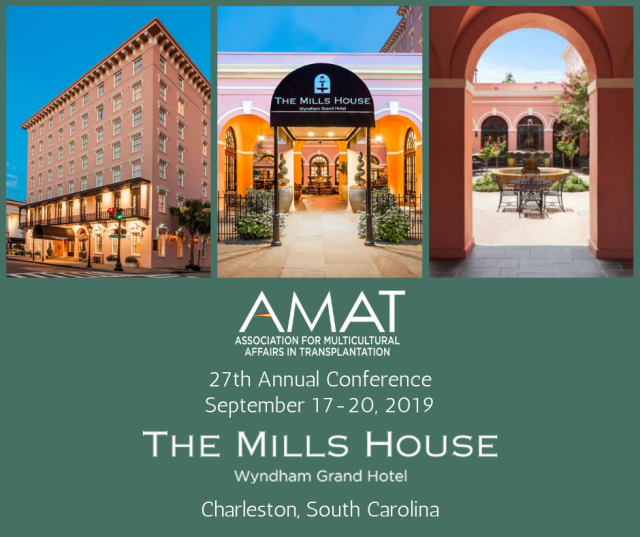 The AMAT Annual Conference provides professional development opportunities related to new methods of increasing donation and transplantation, connections with valuable resources and expansion of knowledge through visionaries in the community of practice. Also, there are numerous opportunities to network and share ideas/experiences with colleagues.